The Parlux Master Controller is an ideal device for growers who want to take advantage of smart technology. It is the evidence of the constant advancement of modern technology that generously helps growers, enabling them to have a higher and better yield. With Parlux master controller, you get complete control over the lighting in your grow area. With the help of this black box, you do not have to worry about the amount of lighting required by your plants; since Parlux master control works automatically after adjusting it according to yours plants needs. Parlux Master Controller can control two lighting groups of up to 80 ballasts per group, and both can be monitored simultaneously on the screen. At the center of the master controller box, there is an LCD touchscreen, which provides you with all the necessary information, such as the digital timer, temperature, functions, and settings. The touchscreen is of highest quality, easy to use and highly responsive. This fixture comes with a lot of helpful features. With the help of the Emergency Shut Down and Auto Dim functions, the master controller works as a safety device that automatically adjusts the light and maintains the optimum amount of light. 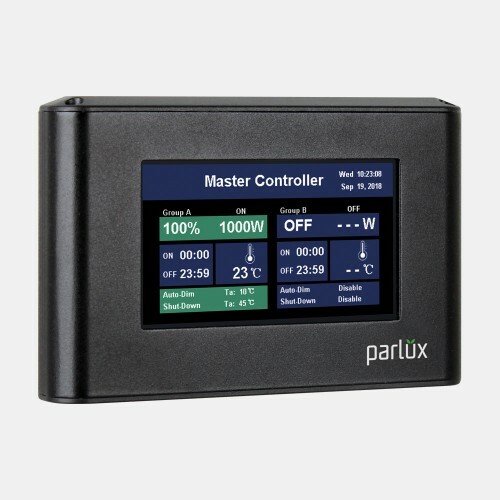 Thanks to the temperature sensor, the Parlux Master Controller has the ability to control the temperature in the grow room, and if there is a rise in temperature, the device will automatically reduce the illumination, and if the temperature rises rapidly to an unacceptable level, the controller will automatically turn off all the lights until optimal temperatures are reached . It also works in the opposite direction, so if the temperature drops below the desired level, the illumination level will increase. Bearing in mind that light plays a major role in plant life, and as needed for proper growth and high yield, the Parlux master controller is designed to operate at a 24-hour time cycle, simulating the sunrise and sunset, gradually turning off and turning on the lights during a certain period of time. With this gradual reduction and enhancement of light, the master controller imitates the nature and environment that is most suitable for your plants. Except that plants will be grateful for providing the most optimal conditions for growth, the function that imitates the sunset and the sunrise, will affect the durability of your master controller, as the gradual start of the light blocks high current speed. 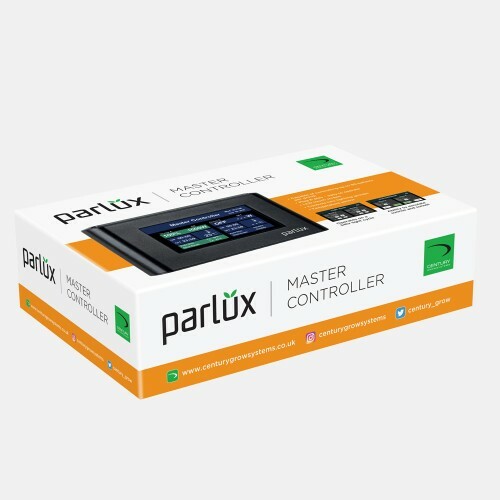 With the Parlux master controller and its design, superior performance and functionality, the lighting system in the grow room will function impeccably, thus allowing your plants to grow in excellent conditions ensuring a good harvest.